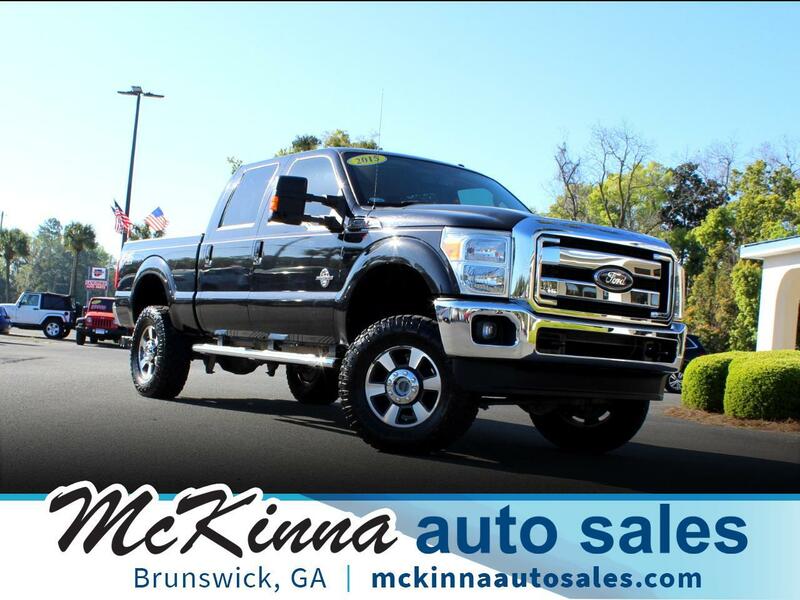 This Lifted 2015 Ford F-250 Super Duty FX4 Lariat 6.7L Powerstroke just rolled out of detail! It's equipped with Remote Start, Power Heated Leather Seating, Air Conditioned Seats, Navigation, Bluetooth, Back Up Camera, Power Sliding Rear Window, Bedliner, BW Gooseneck Hitch, Lift Kit, Running Boards, and a set of 35x12.50 Goodyear Wrangler Tires. Take a look at the clean Carfax Report and you'll know it's been loved; regular scheduled maintenance and 2 previous owners. Swing by today and check out this great deal, we are only minutes from St Simons Island! Working with Navy Federal or USAA? No problem, give us a call, email, or text and we'll walk you through the process. Let us help with your financing. Fill out a quick Credit App today so we can get to work for you! We'll finance you!